Stop Doing Tamper Evident Security Seals Wrong! Disclosures: Digital Bitbox sent me two devices to take a look at. I sent them no money in return. I am going to destroy one and keep the other. Nobody reviews my content before I post it, and my posts are my own opinions. Branded even! The shiny hologram has 'security' repeated in the background. Seal completely intact, and the product easily skips out of the 'secure' packaging. I thought we all learned this exact lesson from the Mycelium Entropy's shameful showing. The purpose of a tamper-evident seal is to make it clear that something has been opened or tampered with upon inspection. These seals can be a deterrent against some adversaries who do not have the tools or skills to bypass them. In this case, the bypass was slightly squeezing the box and letting the product slide out the side. The manufacturer does not understand how to implement security features and wants to make that clear upon first impressions. Either case is pretty lousy. I guess they aren't mutually exclusive. From the first moments of experiencing their product, my level of confidence in Digital Bitbox to not screw up other security details is not high. Hardware Bitcoin wallets are not toys. They are financial products that you are asking your users to trust with their money. This is important. Get the details right. If you are going to include a security feature, make sure it works. In this case, it would be cheaper and more effective to not include a seal at all. You would not have had to spend the money in procuring a custom seal, and the time in applying them to the box -- and you would not be implying that part of the security model of your device is a strip of shiny tape poorly applied. Teardown and second impressions coming soon. Since I don't need 50 Core205R dev boards with STM32F205RGT6 chips myself, I put together a limited number of DINOSAUR HIPHOP ZERO kits available for purchase. ALL ASSEMBLY REQUIRED. This is a prototype / dev kit for enthusiasts who know what they are doing. If the instructions at http://dinosaur.hiphop are not clear enough, then this isnt for you. DINOSAUR HIPHOP ZERO is a Trezor hardware clone. 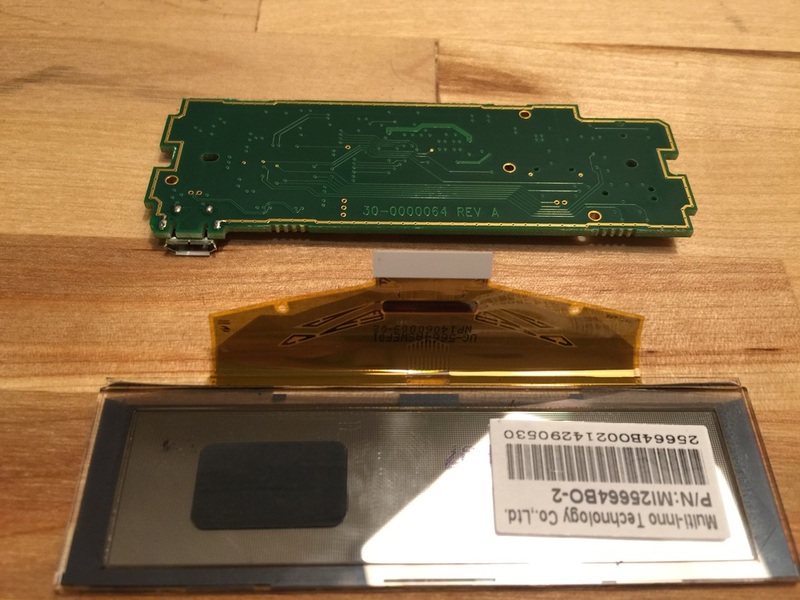 This is the hardware inside of a Trezor, in a different form-factor. Hardware debugging is accessible, and therefore this makes for a pretty nice Trezor dev kit. You can assemble your own kit, compile your own bootloader that checks for your signature on firmwares you compile and sign yourself. If you intend to use this as a daily driver hardware wallet, you probably don't want to do that. I mean, you could -- but that's not the intention. Yes, I know that's expensive. I am in no way affiliated with SatoshiLabs, the designers and manufacturers of the Trezor. Trezor *is* open source hardware! One of my major criticisms of Trezor has not been valid since <I'm not sure when>! Well done, SatoshiLabs! You use the 'open source hardware' label without shame. I have not yet looked at the posted CAD files in detail, but at first glance they appear to be correct and complete. I wonder when the exact clones are going to hit the market? Or have they already? Is the Trezor in your pocket genuine? Through considerable effort, I was able to build my own instance of a Trezor. I call it DINOSAUR HIPHOP ZERO. So I can run my own bootloader code on the Blank Arrow eWallet-based development platform. But I can't use a debugger on them. So, I need a different solution. I found the CorexxR dev board from Waveshare. 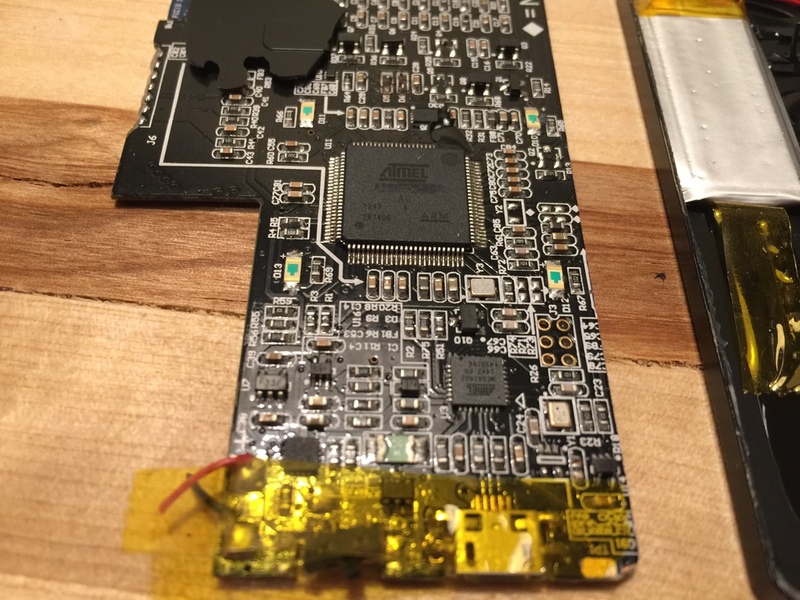 Its a breakout board for the MCU that the Trezor uses, and also has the basic circuits required to get the chip running - USB, power circuits, a crystal, and breakouts for all the pins on the chip. The problem is that the MCU on the Core205R is the STM32F205RBT, which has 128k of flash. The Trezor's STM32F205RET has 512k. I read the specifications, and found that all the STM32F205 chips are pin-compatable, so Waveshare could just solder down a equivalent part that has more flash, then I'd be happy. So I emailed them and asked if they could do this for me. They said they could -- if I ordered at least 50. These have STM32F305RGT6 MCUs, with 1024k of flash. I still want to run a bootloader that I compile that will check for my signatures on firmwares that I compile. The only way to do this is to start with a blank MCU and write down my bootloader. As I talked about in the last post, SatoshiLabs does not make it easy to build your own Trezor from base components. There are clone devices on the market, so I took a decently detailed look at how they compare to the Trezor and what differentiates them. Watch the video for some of the details. But I wanted a trezor clone with a blank chip. I emailed Black Arrow to see if they could help me, and they sent me a handful of Black Arrow eWallets with blank chips and a little wire loop that extends outside the enclosure. The wire connects the BOOT0 pin to high (1), which allows the MCU to boot into the STM bootloader (DFU mode) that allows me to write down my own bootloader and firmwares. Cutting the wire reverts the pin to low (0) and will allow the device to start up into the application code. Some source modifications to the bootloader code to remove the write protection enabling parts, and soldering the wire loop to header pins allow me to use this device as a bootloader development platform, alternating between writing down my own bootloader and running it and making changes and writing down a new bootloader again. I could also design my own Evil bootloader and load it onto these devices, remove the wire loop, and they would physically look just like a standard BlackArrow eWallet. I could then sell them on eBay or Amazon as if they were legitimate. When I think about open source software, the first project that comes to mind is Firefox. If I want my own instance of Firefox, it is easy to download everything I need from Mozilla and compile my own Firefox from source. Mozilla provides simple instructions and commands to copy and paste into my terminal to help me do so. Makefiles are provided to make this easy. I can make changes to the source code and easily recompile if I want to make my own customizations. This is how 'open' projects should work. SatoshiLabs publishes their firmware source code and bootloader source code (finally). I can compile my own firmware and load it onto my Trezor, but I see an 'Unofficial' warning when running it. I can compile my own bootloader, but I have no way to use it because the bootloader on a Trezor is locked and unmodifiable. But the Trezor is also 'open source hardware', right? I can just build my own instance of the hardware that has not yet been locked and use my own compiled bootloader. Its 'open', so it should be easy! A pdf of the schematic is not enough to build an instance of a piece of hardware. I can't send a pdf of a schematic to a pdb fabricator and receive a working board in return. A pdf of a schematic is not a Makefile. If Mozilla did that, there's no way anyone would believe their claim that Firefox is open. This is what SatoshiLabs is doing with the Trezor. They are claiming that the Trezor is open source hardware and pointing to a picture of a schematic to substantiate their claim. The Trezor is not open-source hardware. It is not easy to make your instance of a Trezor and incorporate your own changes. SatoshiLabs shipped their 'open source' Trezor product without sharing its bootloader source code. When asked about this via their support email and bitcointalk.org forums, SL said they were not going to release the bootloader source code because this would open up the opportunity for clones to enter the market. This is true -- but then you cannot market your device as 'open source' if you aren't going to release the source openly. SL did eventually release the bootloader source code for the 1.2.5 bootloader after I shamed them on Reddit. The initial batch of metal Trezors shipped with bootloader 1.2.0, and SatoshiLabs has not released the associated source code. Because the Trezor bootloader checks for SL-signed firmwares, it is impractical to run your own compiled firmwares. One thing you can do is compile the firmware source code that corresponds with a new firmware update from SL and check that those bytes match the bytes in the firmware signed and distributed by SL. But what if I don't want all the changes that SatoshiLabs has made? They have been bundling together security enhancements with 'new features' that I might not want. I only want my Bitcoin hardware wallet to do Bitcoin things. I don't want my Bitcoin wallet to perform ssh logins or display custom artwork just like I don't want my local bank branch to sell hotdogs from their vault, or my commercial flight to also offer skydiving lessons. These represent risks that I don't want to incur -- and shouldn't have to. Therefore, you are implicitly trusting SatoshiLabs when you upgrade your Trezor's firmware. You are accepting the security updates and the new features, whether you want them or not. Overview of the Trezor's memory layout and memory protection features. The MCU powering a Trezor is the STM32F205RET. This chip is an ARM core with many peripherals on die including GPIO, SPI, USB, and Flash. Attached to these are the Trezor's buttons, the OLED screen, USB for power and data, and the Trezor's firmware, bootloader, and metadata storage -- including private key material. When a Trezor is powered up, the bootloader is executed. The bootloader initializes the hardware, checks the signature of the firmware against a signature baked into the bootloader to make sure that the firmware was signed by SatoshiLabs. If it was, then the bootloader cleanly transfers execution to the firmware. If the signature does not match, then a warning stating that the firmware is not official, and the user must select 'OK' before the bootloader transfers control to the firmware. The memory where the bootloader resides is write protected. The signature that the bootloader checks for cannot be updated. This is a fine method to alert a user in the case where an Evil firmware were to be inserted without the user's knowledge. The 'unofficial' warning would appear on the screen and the user would know to stop using that device. The problem is when you want to run a firmware that you compiled yourself. In that case, the Trezor will display the 'unofficial' warning, but your Trezor has a firmware with code that you want to run. You can click 'OK' and have it continue, but you do not have positive confirmation that the Trezor is running your firmware, and not Evil firmware. The device behaves the same way. When the Trezor powers up, the first thing the MCU checks is the state of the BOOT0 pin. If the pin is low (0), then the MCU boots into System Memory that contains a manufacturer (STM) bootloader that can be used to program chips (DFU Mode). If BOOT0 is high(1), then the MCU boots into application flash memory, which is the beginning of the Trezor bootloader. In the Trezor circuit, BOOT0 is hardwired to 1, and therefore will always boot into the Trezor bootloader. How would you expect to turn this on? Wobbles when setting on its face due to face button design. Covering hologram sticker with serial number. Generic hologram sticker could be purchased by anyone inexpensively. Why do companies add these useless things? Camera not especially well protected. Buttons feel cheap and mushy. Cutout around fingerprint scanner is off center. Front face is super easy to peel off. Man, the insides are full of this black sticky tar adhesive. Ugh. 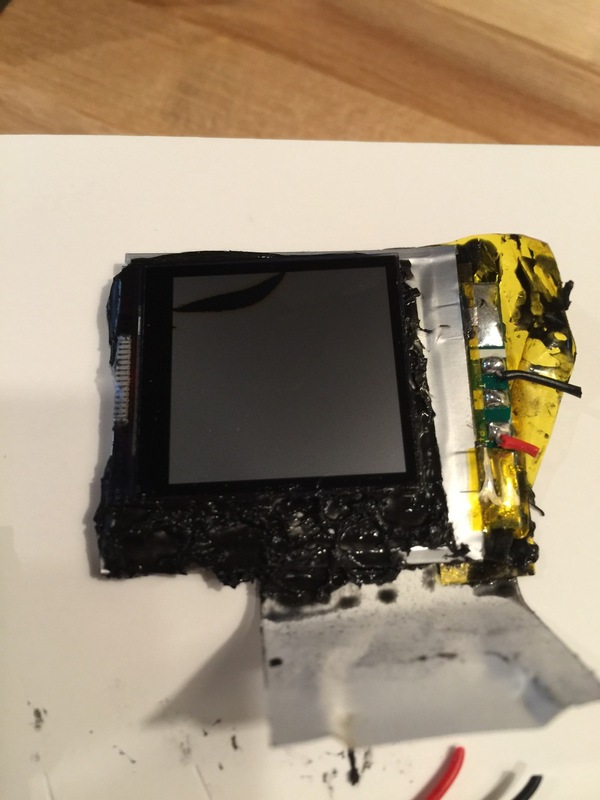 The screen is tar glued to the battery. I damaged the screen while opening up the unit. What a mess of non-repairable goo! That's at least 139 too many dollars, imho. I emailed the KeepKey folks, and they sent me a developer unit! So I guess the 'full disclosure' here is that they sent this to me and I didnt send them any money in exchange. Or the promise of anything. They really didnt ask me much other than the address to send it to. Oh well. Now we're all on the same page here. It comes in a classy box. This is kinda-sorta what it looked like when I opened the box for the first time. Its a lovely shade of green inside. It comes with a nice fabric-covered USB cable and a quality paper to write down your seed words. The back of it is a pleasant aluminum. The front is plastic, with a tinted window for the screen to shine through. You can see the damaged clips that held the two halves together. It was a bugger getting the thing apart. Those retention clips are solid, and its not going to go back together in any pretty way. Inside there is a custom molded plastic bracket that holds the board and screen in place, and that was glued solidly in place. I dont believe that it would hold up submerged in water, but I'd say its fairly tamper-evident. And here's the guts. I havent looked at this in close detail yet, but there are some nice surprizes in here. The ZIF socket for the screen is very nice, the silkscreen comments many components nicely, and it looks like there's a set of debugging pads nicely lined up in the lower left there. There's even a pair of LEDs on the board that most people will never see. I assume those will be gone in future revs. I was hoping to see a second button hidden on the board. The one button is labeled SW2, but I didnt find a SW1 on there. This is a fork of Trezor, but with the omission of a second button, there's no hope of running original Trezor code on this. What a shame for a product with such great fit and finish. The backside is not very interesting. . . .and she still works! I'll be taking a look at the software and the user experience soon. From a hardware quality perspective, KeepKey is solidly designed and feels 'premium'. I have no idea what the expected price is going to be, but I sure hope they can be very competitive with Trezor pricing. Another Trezor Clone/Fork is coming! These guys appear to be doing a little more than just a clone, *and* they've already posted firmware and bootloader source. But I haven't found the hardware schematics / gerber files yet. . . This is called early in the bootloader and checks if the memory protections have been set, and if they are have not been, then it sets them. The setting is permanent and the code will only be hit once -- the first time the chip powers up into application mode after the bootloader has been written to the chip. But has this happened before or after the wallet has been put into the retail packaging? With the factory fresh chip in this rig and the boot pins in this configuration, I can verify that the chip boots into DFU mode via JTAG and openOCD. So lets sacrifice a factory sealed wallet. For Science! Now the sad conclusion: when testing this chip in the test rig, openOCD would not communicate with the chip. This implies that BWallet powers up each unit in the factory in application mode, executing the code that trips the memory protection fuses. I'd like to test a Trezor in a similar way. Donate if you are interested! johoe's work here is excellent, but also something a moderately determined mere mortal could duplicate. Today, my Mycelium Entropy arrived. I was excited about this one -- a simple device designed to do one simple thing. Nice packaging. Decent enough build quality. What's that on the right side? This, my friends, is called "Security Theater." The 'security seal' is *easily* bypassed. Makes me wonder what other security 'features' they got boneheadedly wrong. wat. "We're 'open source'! So f*ck you, you're on your own!" This product is a toy. This is clever, but does not instill any confidence in their ability to make a financial product. I'd reach for any of the other three products before the Mycelium Entropy. These are just initial impressions, but man am I disappointed with the presentation and apparent lack of confidence in their own product. What's the purpose of the holographic sticker? It fails miserably as a tamper-evident seal. Its just to look pretty? Its got Mycelium branding, so some (non-insignificant) part of the price of this device went to a shiny sticker that some folks might interpret incorrectly as adding to its security. blech. This is another Bitcoin hardware company throwing around that term 'open source'. Sure, there's a repo with some code, but the way I found out what processor was running inside was by disassembling mine. Drop your questions for me in the comments section.